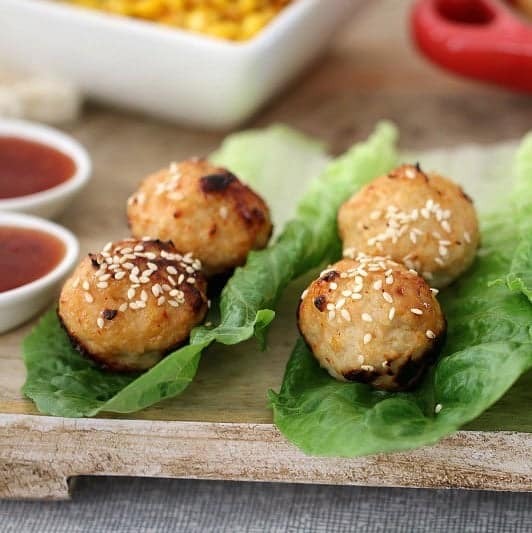 Easy & family-friendly, our Thermomix Chicken Meatballs are made from chicken mince, sweet chilli sauce and soy sauce. 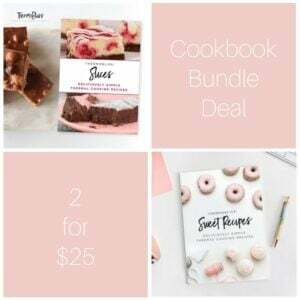 Great for kids and toddlers! 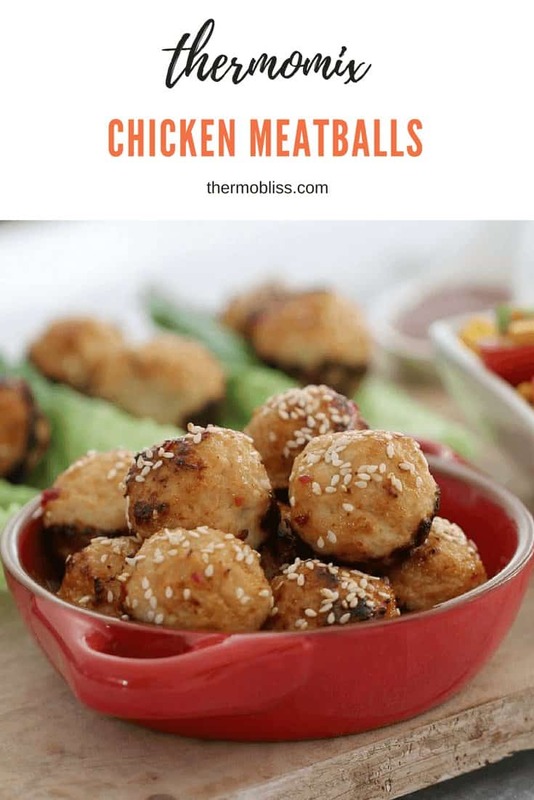 With our little toddler in the house, I’m always on a mission to make yummy little snacks that can be eaten for lunch, dinner, popped in lunchboxes, or frozen… and these Thermomix Chicken Meatballs are exactly that! 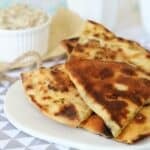 You can serve them on their own, with a salad or vegetables, or even toss them through some pasta or rice. 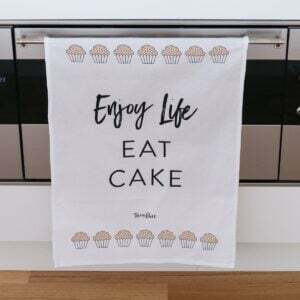 They’re super versatile and yummy! I like to prepare the mixture in the Thermomix and then bake them in the oven in mini-muffin tins. 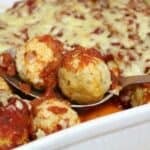 The muffin tins help the meatballs to cook evenly and keep their shape perfectly. 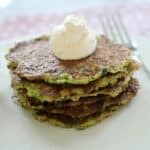 If you’re still after some more kid/toddler-friendly recipes, check out a few more of our favourites here. 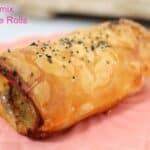 For more great lunch box recipes, check out our Thermomix Lunch Box Cookbook! 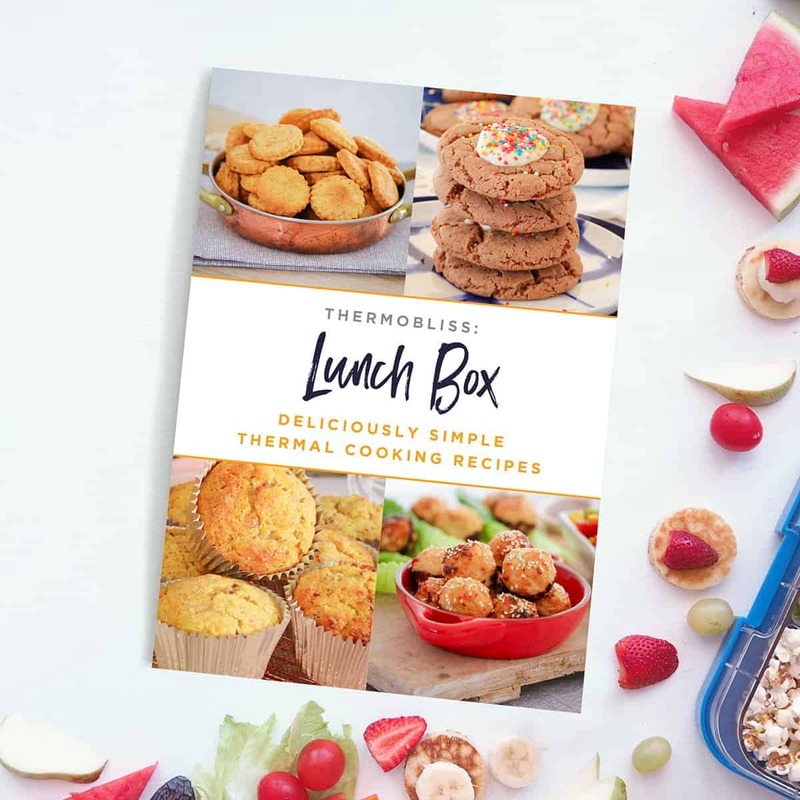 ‘ThermoBliss Lunch Box’ is packed full of 29 sweet and savoury lunch box recipes that are easy to prepare, freezer-friendly, school-friendly… and of course, kid-approved! Our cookbook also includes a handy conversion chart for commonly used ingredients. 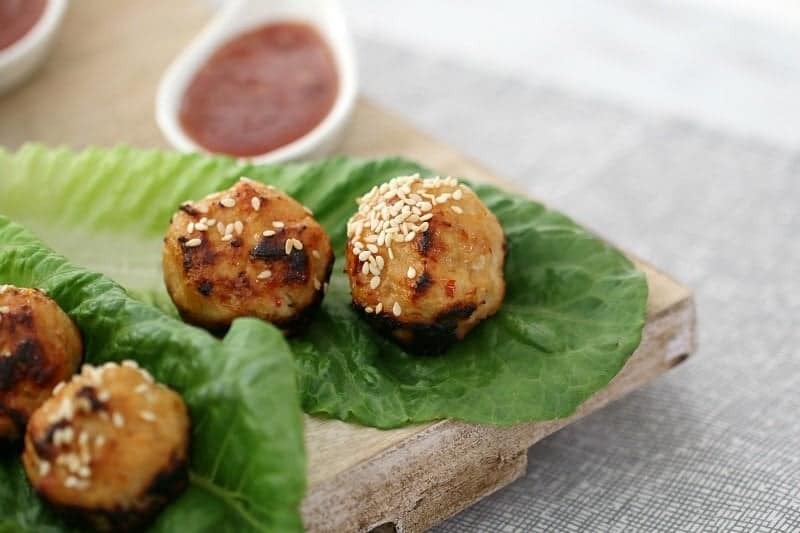 Easy & family-friendly, Thermomix Chicken Meatballs made from chicken mince, sweet chilli sauce and soy sauce. 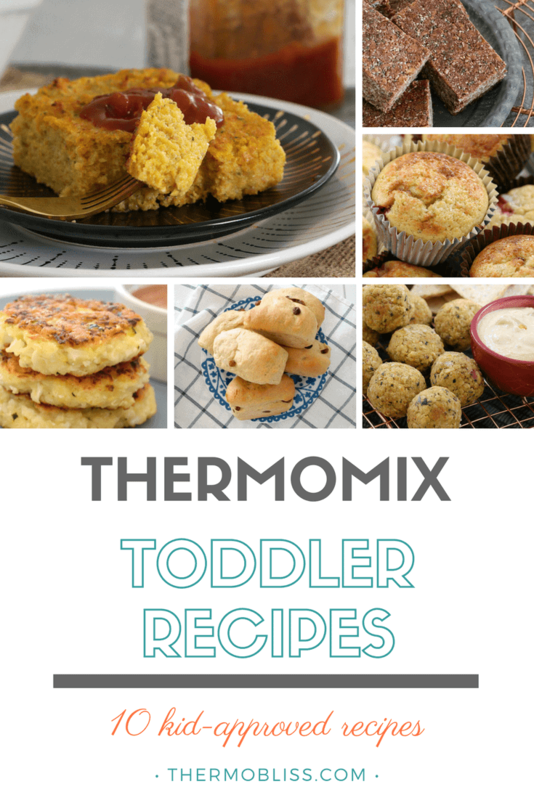 These are great for kids and toddlers! Preheat oven to 210 degrees celsius (fan-forced). Lightly spray a non-stick mini-muffin tray with cooking spray and set aside (see notes). Place all ingredients (except for the sesame seeds) into the Thermomix bowl. Mix on Speed 5, 10 seconds. Scrape down the sides of the bowl and repeat for a further 5-10 seconds, or until well combined. Roll into 1 tablespoon-sized balls and place into the prepared mini-muffin tin (see notes). Cook in the oven for 15 minutes. Brush over the extra sweet chilli sauce and sprinkle with sesame seeds. Cook for a further 2 minutes, or until cooked through. If you don't have a mini-muffin tray, lightly grease a non-stick baking tray instead. If your mixture is difficult to roll, add in some more panko crumbs. These meatballs can be frozen in an airtight container. 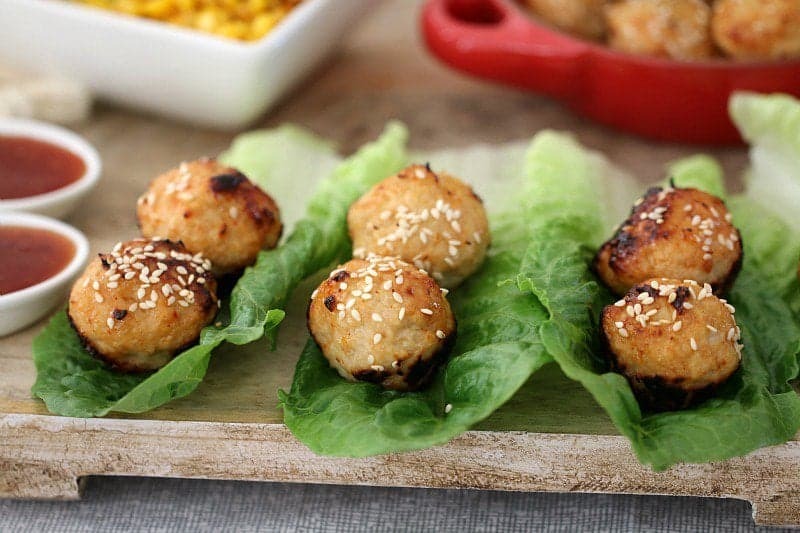 cheers to the chicken meatballs, it looks delicious.